Join us for the livestream on Twitter with Brad Beutler and Justin Keller of Sigstr on April 17th, 2019 at 4:00 PM ET! 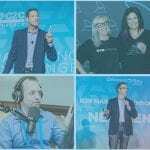 Over the many years of covering the B2B marketing and sales beats for Demand Gen Report, I’ve had the pleasure to hear a variety of power use cases of businesses putting their customers at the center of their go-to-market strategy. B2B buyers want to know that vendors care about their problems and business — while also celebrating their success! In an effort to spotlight the unique, creative ideas of its customers, the email signature marketing company Sigstr produced an E-book styled similarly to Vogue’s annual — and critically acclaimed — September fashion issue. The company highlighted 50 of the most marvelous, elegant and lavish banner designs in the email signature scene today. In just four days, Sigstr’s E-book achieved the highest amount of views ever seen amongst all past E-books and case studies produced by Sigstr. With the help of Uberflip, Sigstr was able to intelligently recommend other pieces of content to those viewing this resource, which led to more than 50% of visitors staying on the hub and accessing additional Sigstr content. More than 25% of traffic was sourced from the selected customers sharing the resource with their networks on LinkedIn and Twitter. 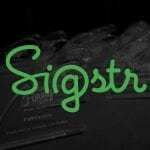 I get the pleasure to chat with Sigstr’s Brad Beutler, Director of Marketing, and Justin Keller, the company’s VP of Marketing, about the campaign that won them the first-ever B2B Choice Award at this year’s B2B Marketing Exchange. 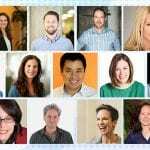 I’m looking forward to taking a deeper look at their campaign and learning how other B2B organizations can better incorporate their customers into their content. The mishaps and hurdles they faced producing this type of a content asset.